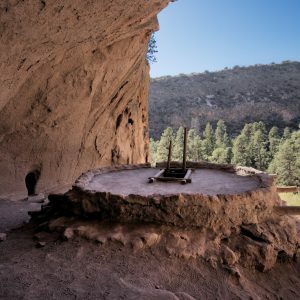 This 5 day/6 night ALL-Inclusive retreat takes place in magical New Mexico. It is with deep respect that we humbly utilize this land for our retreat, where we walk between the worlds and tap into the wisdom held by the native peoples of this region. 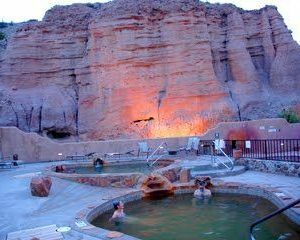 Sacred land of the Anasazi indians is the location of Ojo Caliente thermal springs and spa. We will soak in the healing waters, as we did lifetimes ago allowing the natural iron, soda, litha, arsenic (yes it's very healing) mineral waters to work their magic. As wisdom keepers and multidimensional Being of Light, we will work with the ley line energy of mother Gaia to bridge ancient knowledge into the fields of human potential at a new level. 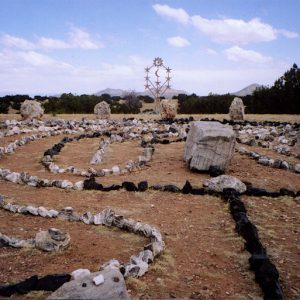 Sacred Ceremony at Star Dreaming will be magical. We will reconnect with our Atlantean lifetimes and the wisdom we carry within our DNA. 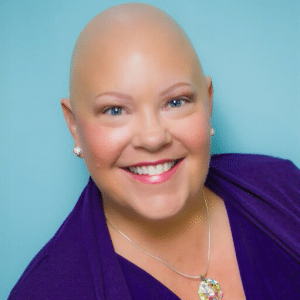 READY TO EXPAND YOUR CONNECTION? This ALL-INCLUSIVE retreat includes beautiful 4-star accommodations single occupancy, gourmet dining including all meals in and around Santa Fe. Transportation to and from ABQ airport via a shuttle service. We make it easy for you! All you need to do is book your airfare to Albuquerque Airport (ABQ), then relax into this magical retreat. Double Occupancy ONLY Available IF both of you sign up at the same time. No pairing available. $3200/per person for double occupancy. Pre-Retreat Early Arrival Looking for a lush way to simply unwind? Early arrivals are available for 1-3 nights. After arriving at the ABQ airport, you will check the shuttle for the hour drive to Santa Fe. 3:00 pm Official hotel check in. Arrive early if you can and allow the bellman to hold your bags. .
Official hotel check out is 12:00 pm – Please allow the bellman to hold your bags and enjoy the facilities if you departure is after noon. Shuttle service back to ABQ to catch your flight home. The cost for this ALL -INCLUSIVE Retreat is $3500 /pp single occupancy. Your accommodations/single occupancy April 15 - April 21. All sessions and energy work with Raquel. Reservations made on or after 3/1/18 will require PAYMENT IN FULL at the time of booking. Please note that we will NOT be able to refund your payments AFTER the MARCH 1st cut-off. We are working hard to create an incredible experience for all of our guests, so unfortunately late cancellations (anytime between March 1- April 15) can NOT be refunded. Thank you for understanding.